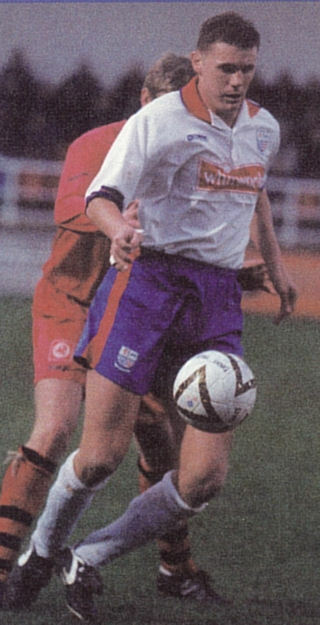 Striker Colin West was another big name player who joined Diamonds at the end of a long career which had included spells at Sunderland, Watford, Rangers, Sheffield Wednesday, West Bromwich, Swansea and Leyton Orient. He had also had a loan period at Port Vale while he was with West Brom, and it was a loan from Orient which saw him make his debut in a disappointing defeat against Hayes in November 1997. Although in the twilight of his career, he was still able to show his striking ability to score two goals at Kettering Town later in the season which earnt the veteran a contract through to the following summer. His two goals against Doncaster Rovers the following season in the FA Cup replay earned the Diamonds a home tie against Leeds United. 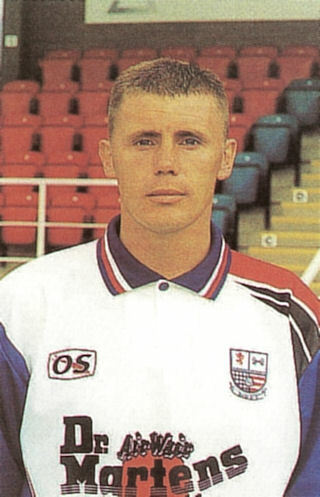 His time at Nene Park came to a close in September 1999 when his contract was cancelled by mutual consent. After leaving Diamonds, he joined Northwich Victoria on 13 October 1999, before beginning a successful period in football management/coaching, as an assistant manager to Chris Turner at Hartlepool United, Sheffield Wednesday and Stockport County. After leaving Stockport in December 2005, Colin became Reserve team coach at Millwall, and had a spell as caretaker manager in October 2007, before becoming Reserve team coach at Southend United in December 2008. He returned as assistant manager at Hartlepool United in February 2009 after Chris Turrner’s appointment there as Director of Sport, but his contract was not renewed at the end of the 2009/2010 season. On 20 February 2012, he was appointed as First Team Coach at League One side Notts County following the appointment of Keith Curle as manager, but was relieved of his duties on 3 February 2013 after the sacking of Curle following a run of poor results. He followed Curle to Carlisle United in 2014, where he was Assistant Manager. He became Assistant Manager at Northampton Town in the summer of 2018, again alongside Keith Curle.